Is digital visibility vital for survival within the fashion industry? McKinsey Global Fashion Index’s predictions for the global fashion industry, were for sales to grow by 3.5 to 4.5% in 2018. Yet, as new figures from Drapers show that overall; year-on-year growth of online clothing fell by 7.5% in July 2018, down 4.3% on the five-year average; and additional reports from Coresight Research – showing 2016 to have been the toughest year for UK apparel sales so far, since 2009 – Just what exactly is vital for businesses within the fashion industry to do, to survive in 2018? SCCG takes a look. Fashion is an industry sector which lends itself to being synonymous with visual technology and merchandising, which subsequently increases the likelihood of retail / e-tail conversion rates and product sales. In the age of digital disruption, an accurate prediction would be that the future of commerce resides online, to be further strengthened, and supported significantly within the medium of social media. The apparel category was shown to have experienced a major lull beginning in late 2015, in conjunction with a weak year in 2016. A legitimate reason for this decline in performance, may be the ongoing battle between high-street and online commerce. With predictions that the companies which prove to be most successful, will be those which implement coherent channel strategies, and clear value definitions, comprising of omni-channel sales, which embrace both analogue and digital purchasing routes. Despite being 2018, the modern age does not mean that it is a digitally domineered sector, and consumers still desire the luxury of the choice between online and high-street store shopping experiences. Despite digital-disruption, it seems that technology is a clear leader and winner for success and survival within the fashion industry. Forcing many companies to adopt an ecommerce and digital transformation, for a successful fashion supply chain in 2018. 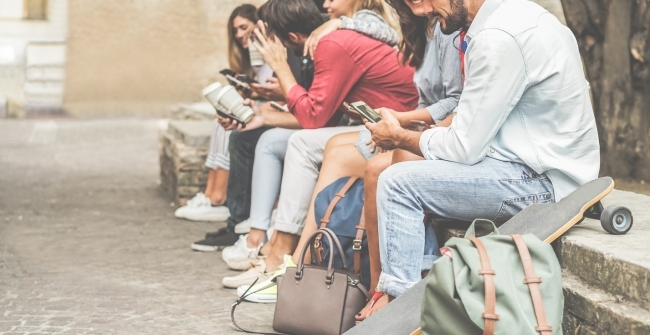 It seems that multiple digital platforms enabling the marketing and sales of fashion items, can help to facilitate overall industry presence and ultimately, growth. 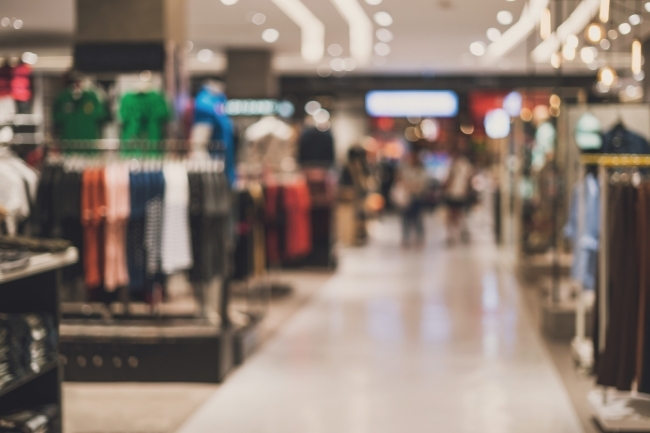 On the contrary, stores which are predominantly present on the high-street, and lacking in online presence, may use this position to their advantage, and instead sell specific items, exclusively, only available in their high-street stores. Primarily due to ease of access, technology also provides the consumer with a platform from which to become better informed about the company they are purchasing from, and therein, better gain better visibility surrounding the journey of the products which they ultimately decide to purchase. Thanks to technology, consumers groups are now able to, and are taking advantage of, making more informed decisions surrounding their purchases. No longer only based upon price and item availability, consumers are now more importantly taking into consideration where the product materials are sourced, the treatment of labourers manufacturing the end product, the realistic sustainability of the materials used, and the impact overall on the environment. Whilst digital visibility contributes to providing consumers with easy access to companies’ supply chain information; it is, therefore, a vital component for the survival of the fashion industry. On a similar thread; another key concept for successful fashion businesses in 2018 is sustainability. Fashion consumer groups are always looking for companies to provide more information, focussing not so much on the history and journey of the brand itself, but more-over to tell the story behind the products they are retailing; the supply chain visibility, the labour involved, and the impact, not only from a realistic sustainability perspective, but also on the environment. From a sustainability perspective, digital visibility through technology, is not only important for enhancing the visual sale of an item and its availability but is also vital for the longevity of a brand’s identity and association from consumers. More specifically, consumers are no longer using technology to just purchase items, but are more frequently using different digital mediums, to seek informed consent about a company’s ethos, their manufacturing, their resourcing and, labour. Consumers are using technology as a digital visibility tool, to enhance their knowledge, and to base their purchase decisions on a company’s moral culture, rather than simply upon the convenience to purchase, and the availability of products that they retail. A growing significant deciding factor within smaller independent companies is a requirement to promote their story-telling of their businesses via their website company mission statement, social media, and blogs, to highlight the sustainable and ethical aspects of the supply chain, for the products which they source and sell. As the previously important brand identity and brand reputation gained from simply being present on the high street, is slowly becoming less of an accolade for fashion retailers; the tables have turned, and despite the uncontrollable confounding variable of Brexit – companies are quickly realising that it is digital visibility, informed consent, and sustainability, which is vital for fashion businesses’ survival within the Industry.